Hear new live versions of timeless techno classics. In recent years, Carl Craig has been one of the brightest figures pushing the modern classical power of Detroit techno forward. 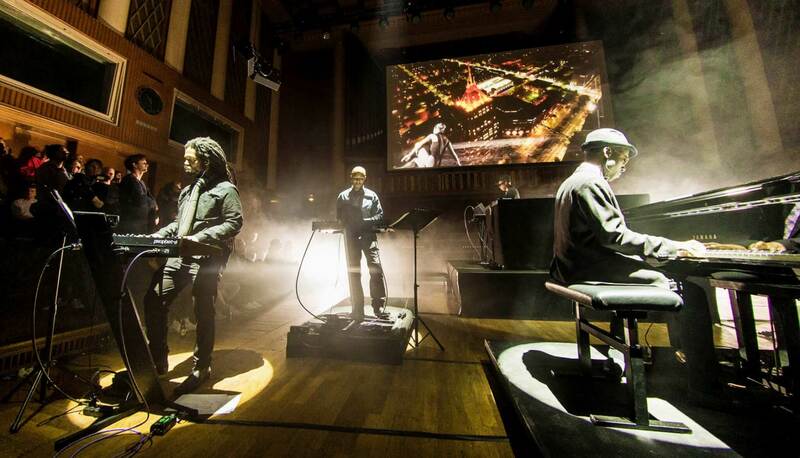 Like Jeff Mills, Craig has performed in some of classical music’s most hallowed buildings, released orchestral remixes of his work and integrated classical instrumentation into his unique sci-fi musical vision. Craig’s incomparable ear for complex arrangement and sound design was on full display at a recent special performance of Carl Craig’s Synthesizer Ensemble at the Funkhaus Berlin. Surrounded by an artillery of analog and digital synthesizers, and even a grand piano, the Detroit icon conducted a wondrous set of variations spanning the entirety of his career, including Berlin-Detroit crossover classic “Domina”, “At Les” and “Sandstorms”. Missed out on it in the flesh? Don’t worry, because we were on hand to capture all the magic from this very special concert. Like what you see? Be sure to check out more great live videos on our YouTube channel—we release new episodes every Tuesday. Check below to watch some highlights from our EB.tv Live series.